A Safe, Fun, Friendly environment. Our mission at United Fighter Thunder Bay is to bring a new and exciting blend of modern and traditional combat sport fitness training to Thunder Bay in our brand new 5000 Sq Ft Facility featuring a boxing ring, an MMA cage, over 1000 Sq Ft of mat space, weights and equipment and both amazing heat and awesome air conditioning. We understand people have different goals, needs, comfort levels and we are set up to accommodate all. We provide group and private training at reasonable prices. All of our coaches are amazing at what they do and are eager to share their combined knowledge with beginners and seasoned veterans alike.They understand your training needs whether you are looking for weight loss, fitness or competition. Our owner / head coach Curtis Richard has travelled extensivley training all over North America and fighting at events accross Canada, Curtis has trained with the best in the business including UFC Veteran Jesse "the water" Bongfeldt who is owner and head coach of our big brother club, United Fighter Kenora MMA, Rowan Cunningham and the other current UFC fighters and veterans from Adrenaline MMA in London Ont and Canadian legends like Leo Louks and the late Shawn Tompkins. We pride ourselves on being able to provide, an inviting fun safe clean environment treating everyone who walks through our doors to a great learning experience. RITC 53 Fighter of the night. Curtis started training jiu jitsu at 8 years old, moving on to mixed martial arts at 12. At age 14 as a reward for his hard work and dedication Curtis's dad arranged for them to travel to Las Vegas where Curtis met and trained with Canadian legend Shawn "The Coach" Tompkins. They hit it off immediately and Curtis was invited back to train with Shawn's pros that were fighting in the UFC including Vitor Belfort, Mark Hominick, Kevin Randleman, Vinny Magalhaes and many more. Curtis and Shawn continued to keep in touch and train at any available opportunity in both Las Vegas and Shawn's first gym Adrenaline Training Centre in London Ontario. Following Shawn's passing Curtis trained at various other gyms in the states including American top team where he worked with UFC's Rich Attonito and others. Later that year Curtis was sponsored by jaco athletics as a junior amateur fighter and was able to train with the team in Florida. Curtis went to JACO Hybrid Training Centre to train with the Blackzillians working with coach Henri Hooft and training with UFC stars like, Vitor Belfort, Rashad Evans, Matt Mitrione, Michael Johnson, Anthony Johnson, Thiago Silva etc. 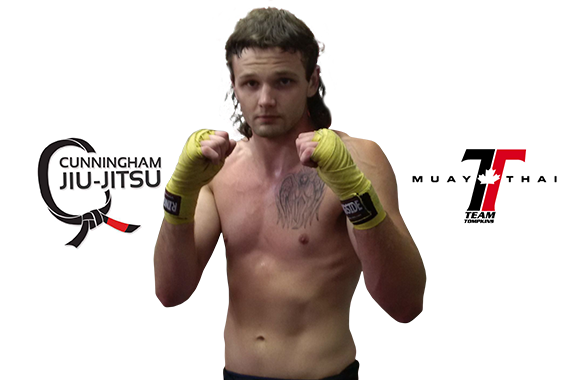 Curty quickly earned the pro's respect and two black eyes and in doing so was taken in as part of the JACO family making numerous trips to train with the high level coaches and fighters there. For the last couple years Curtis has remained in Canada training with friend, mentor, coach and UFC fighter Jesse Bongfeldt, and his coach Chris Harper, as a part of their United Fighter MMA Kenora fight team, recently travelling with Jesse to train with UFC rising star Jordan Mein to train at his gym CMC MMA in Lethbridge Alberta. Most recently Curtis returned to his Team Tompkins roots travelling to London Ontario to train at Adrenaline with UFC stars Mark Hominick, Chris Horodecki, Chris Clements and former IKF world champ kickboxing legend Leo Loucks. 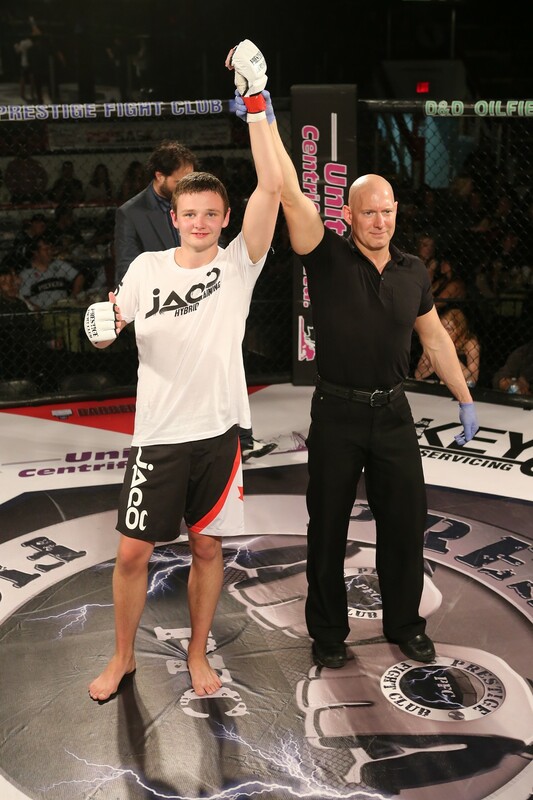 Curtis took his first MMA fight at age 16 and is currently 3-1 with a 3 fight winning streak. Curtis has taken a short break from fighting for now realizing how huge an opportunity his being a partner in building United Fighter Thunder Bay from the ground up along with his talented partners. Curty looks forward to using everything he's learnt from all the UFC stars, pro teams and top level coaches he's worked with over the years and sharing that knowledge with students of his own in his home gym United Fighter Thunder Bay. Training and inspiring adults, teens, men, women and children to live a healthy disciplined lifestyle whether it's general fitness, boxing, kickboxing or MMA, Curty is excited to give back and share what others have shared with him ensuring a fun safe experience for all.